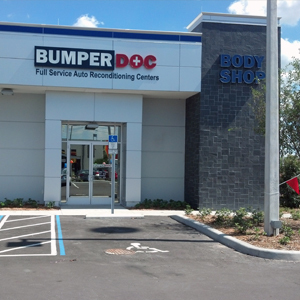 Growing demand inspired the decision to open a BumperDoc Express Collision Center right here in Oakland Park. Our technicians along with husband and wife team Karla and Rommel offer 20+ combined years of auto body repair experience. We are so excited to offer the community a one-stop shop for your auto body repairs, auto reconditioning and auto appearance needs. We also are happy to remove those unsightly dents and dings. Of course in sunny Florida you will need to have your windows tinted, so we provide that service as well as auto detailing, windshield repair, interior repair, cloudy headlight restoration, paint touch up and wheel repair, all to keep your car looking good on the road. We know that your time is valuable so we pride ourselves on getting you in and out as quickly as possible all while providing you the best quality customer service your deserve. Fast and friendly service at honest prices - what more can you ask for? So what are you waiting for, come join us at the BumperDoc in Oakland Park, Florida! BUMPER DOC Saves You Time & Money! 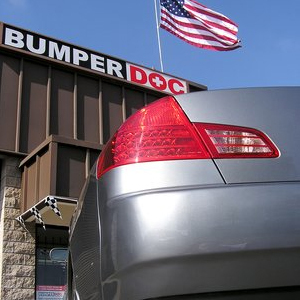 BumperDoc can get your car back on the road faster and you spend less. We'll give you all of your options from One Day Bumper Repair, Paintless Dent-Door Ding Repair, Auto Hail Damage Repair to Auto Body Repair and Painting. Plus we offer discount rental cars through our partnership with Enterprise Rental Cars and a free lifetime warranty on your repair. Who says there are no guarantees in life? We believe that your satisfaction with your repair is incredibly important. Our goal is to give you the best customer service combined with the highest quality repair possible. 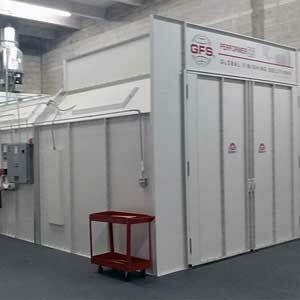 If you are not satisfied with the results of your repair, we will do whatever we can to remedy the situation. These professionals fixed my bumper scuff (deep into the last layer) on the SAME day I called for an appointment. Wow! Looks brand new. The cost? $300. For a $80K car with the same day fix? A total bargain! Go to these guys! Great staff and service! I couldn't be happier with the body repair + window tinting they did. And, it was all done in just a few days. I highly recommend Bumper Doc! My car was hit by an industrial truck while parked on the street, and I needed the front bumper and driver's side mirror replaced. This place is fantastic. Professional, fast service and they handled my insurance well so I didn't even need to worry about the payment part. 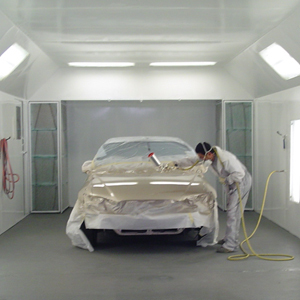 We currently have an open position for an experienced Auto Body Repair Technician. You can CONTACT US to find out more.